Kids look to parents (so be positive) – It is so important that you have the right mental approach and focus as parents for your child with Aspergers. This relates to many areas of life, and not just independent living. But in this example if you project an image of worry and concern at the mere mention of your child taking steps towards independence – then how do you think it affects them? Of course it will start to give them the same negative emotions and they will immediately begin to relate to independent living as something too hard, scary and maybe even impossible. So a positive attitude is just so important as a parent in order to help your child. Because children are so in-tune with what we say and what we do, and are hugely influenced by us. Let Them Grow – In a continuation of the above point it is so important to allow your child to grow. Now all parents want to wrap their children in cotton wool at some point or another. If you have a child with Aspergers (and they have likely had some negative experiences in their life already) then the temptation to do this is often even bigger. But you can’t do it! Children need the chance to have new experiences and take risks. It’s through doing this that they grow and develop as individuals. Otherwise their life will be just too sheltered and not have the defining experiences that they deserve. And it is through these situations that we really experience living life. Let them learn their own lessons – Part of taking risks and going into new experiences is coming up against things that can be challenging. And at times this means coming across things that go wrong. This is actually a good thing. Because for all of us; we learn the most from tricky situations. Annd your child with Aspergers is no exception. And they will learn the lessons when they come across them (even if some times it may take a couple of attempts). One example that Amalia gave me was that in a phone conversation with her son one night he said “you know mum there’s a lot of strange people out on the streets at 3am here in Los Angeles, I don’t think I’ll go out at the time again!” Now Amalia said that it was difficult to hear this; because of the obvious risks that Brandon had put himself in by being out alone at 3am. However it was clearly a lesson quickly learned and as far as Amalia knows he has never been out in the early hours since. Take time out and you have more to give – In order to be the parent that you want to be, you have to take some time for yourself. No matter how dedicated you are to your child – if you keep just giving and giving it’s going to take its toll. You need the opportunity to do things for yourself from time to time – in order to “replenish your tank”. Otherwise if you just give, give, give your tank will run empty and you will find it even harder to achieve what you want as a parent. Now sometimes this can take a great deal of creativity to get the child care/baby sitter that you need – but in most cases it can be done somehow (even just to have an hour or two to escape to the bath and read your favourite book, or go out for a nice, peaceful walk). 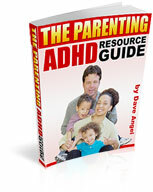 Welcome to the February 2012 edition of “The Parenting Autism & Asperger’s Newsletter”. 1. Hot Topic of Discussion – Is Asperger’s Syndrome Over-Diagnosed? In light of the coming changes, here is a refresher of the current characteristics that make up an Asperger’s Syndrome diagnosis. There are several basic characteristics involved in an official diagnosis. These characteristics include social ability, speech/language/effective communication, and sensory struggles, just to name a few. Read more about what it means to qualify for an Asperger’s Syndrome diagnosis at the links below. 4. Independent Living – I have recently finished writing Volume 2 of Parenting Plus which covers the topic of Independent Living. It breaks the topic down into 15 different skill sets and how best to prepare your children to develop these various independent living skills. One theme that comes across clearly is that “it’s never too early”. To help your child maximize their future independence you need to be working on a variety of independent living skills as soon as possible. That way they can begin to develop the skills they need in plenty of time. (You can learn more about this in the latest Parenting Plus Newsletter and Interview – http://www.parentingaspergerscommunity.com/public/1247.cfm). And on next week’s blog I am going to be revealing more tips on Independent Living Skills from parent/advocate Amalia Starr. The next edition of the newsletter is due in March 2012. Managing the frustration and anger of a child with Aspergers. I need help managing the frustration and anger that arise each day, and managing an extroverted child with Aspergers. It can be very common for children with Aspergers to deal with anger of a daily basis. Your son’s frustrations come from his inability to understand social cues, and his other social deficits. The good thing is that his anger can get better as he better understands the unspoken social aspects of today’s society. Try a few of these options to get his anger and frustrations under control. Consider enrolling your son in anger management classes. Even if his anger and frustrations are mild, anger management classes will offer a great deal of help to you in this situation. The anger management personnel will help your son work through his anger and frustration issues. Often anger management classes are available at schools so check with the school personnel to see if this option is available. There are also options to participate in these classes in your local community. The personnel will help you decide what options are best for your child. Let your son participate in counseling sessions. Counseling sessions are available for individuals and groups. He may enjoy receiving group counseling with his peers at school, if this option is available. You do not necessarily have to pay for your son’s counseling. Again, the schools should have highly skilled counselors that can help your son work through his frustrations and anger issues. You should begin to see improvement after a few sessions. Spend some time with your son each day. It is not that you do not spend enough time with your son now, but it may be more beneficial if you spend designated time with him each day. Sometimes children with Aspergers will act out if they have to compete with other children in the family or other people in general. Make him feel special by offering special time to spend with him doing the things that he enjoys. Allow your son to exercise daily or participate in sports. Exercise and sports are a good way to get out your son’s frustrations. He may want to enroll in a sport through his school or his community. If he has issues with being around people, you may want to allow him to exercise or play sports at home. Many children with Aspergers enjoy playing video games so you may want to find one that has fitness options. Keep your son occupied as much as you can. He may forget the source of his anger and frustration when he is too busy to think about them. Occupy his time with the things he enjoys in life. This month’s article is on depression. At age of 13. I really don’t know what depression is? I know what I’ve read about depression; especially in the teenage years is where your mood swings up and down. The funniest problem is other people think you’re depressed when you’re not. Since having Asperger’s and in my teenage years, I am watched constantly to see which kind of mood I’m in. The funniest thing that happened to me recently, was when I had to submit a narrative for English. My narrative was based on World War III. And just because I didn’t have a happy ending. Everybody thought that I was going into a depression. Yes I’ll agree I’ve been having a couple of down days, but my narrative was based on not everything always has a happy ending. What I find about my writing is I don’t like writing just to make people happy. I write more from feelings, intuition, and most of all just how I think. I know in some of the kids in my class had read my narrative, they thought it was weird because I didn’t want to have a happily ever after story. Maybe it’s just because my life has never been “happily ever after”. I’ve always struggled with everything I had to do and I’ve always had to prove that I can accomplish anything. I deal with bullies on a regular basis, kids tease me about the topics I speak about, and the most frustrating part of all, I can’t seem to click with anyone. Is this depression? Again, I can’t really say. What I would like to do in this article is give my readers and chance to read my narrative. So if your kids write any stories like this. It does not mean that they are depressed. Who knows, maybe we see the world as it really is. Maybe having Asperger’s gives us more of an insight to see things without the sugar coating. So why do we see the world like this, let’s be honest, most aspergers kids are treated like crap in school from the other students. So in a way we have to grow up faster. Think about it?